An evocative series shot for Men’s Health Magazine, “Gotham 7.5K” looks down on New York City from 7,500 feet up. 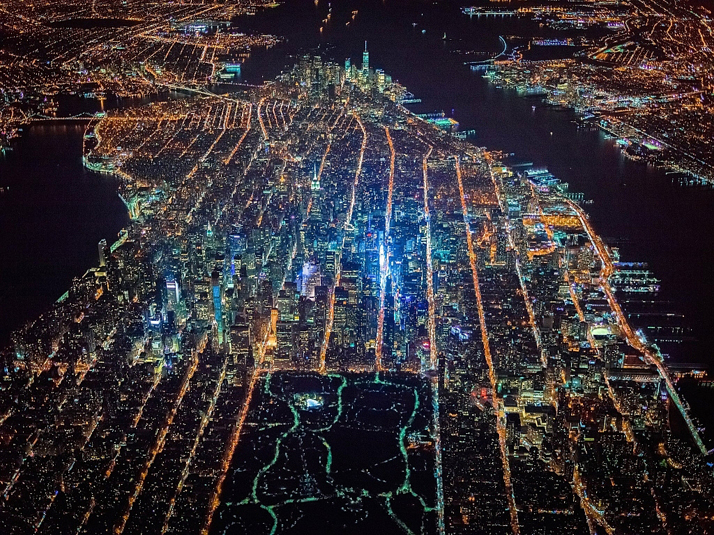 The shots were taken by photographer-filmmaker Vincent Laforet while leaning out of a helicopter and secured in a full body harness. Extreme even for a seasoned aerial photographer such as Laforet, the experience was frightening and cold but worth it for the breathtaking results. Vincent notes, the electric colors of the city are reminiscent of how the brain’s synapses appear on a scan. Though taken from a great distance, the pictures show New York at its core, as a complex beauty, a symbol, and a relic of the human imagination.